A magnet is something that can attract certain metals. It has an invisible force that pulls the metals to it. This force is called magnetism. Magnets have many uses. They stick things on, hold things together, and make machines work. Do you have magnets on your refrigerator? Do your cabinets have magnets that hold the doors shut? Do you have speakers in your home? These are made with magnets, too. Did you know that almost every machine in your house has magnets in it? Let's explore the world of magnets! Where do we get magnets from? Some rocks are natural magnets. 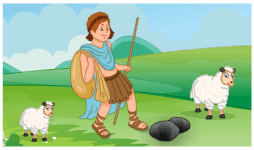 Long ago, a boy in Ancient Greece walked across a big rock. There were iron nails in his shoes that kept them together. But as he walked across the rock, it pulled the nails right out. His shoes fell apart, and the nails stuck to the rock! We don't know if this story is true or not. But we do know that the word magnet comes from the name of a place, Magnesia, where some of these natural magnet rocks were found. Does a magnet attract all kinds of metals? No, there are only certain metals that are attracted to a magnet. They are iron, nickel and cobalt. These metals can become magnets. Magnets come in different shapes. A magnet has two ends. These are called the magnet's poles. One is called the north pole and one is called the south pole. You can see that different poles of a horseshoe magnet attract each other in the picture below. 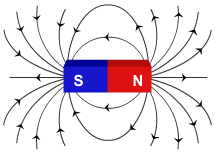 And the south pole of a magnet attracts the north pole of another magnet. But magnets don't just attract. They can also repel, or push things away. The poles that are the same repel each other. So a north pole would repel another north pole and a south pole would repel another south pole as you can see below. 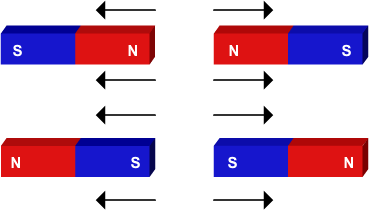 The attraction and repulsion of a magnet is due to an invisible field around it, called the magnetic field. Is the strength of this magnetic field same everywhere in a magnet? Let's find this out by bringing some iron filings close to a bar magnet. Now, observe carefully. You can see that more iron filings are attracted to the ends of the magnet, while less iron filings are attracted to its center. This shows that strength of this magnetic field is more at the ends and less at its center. Have you ever seen a compass? A compass is a tool that helps people know which direction they're going. The needle in the compass can spin. The needle spins so that one end of the magnet points to the north and one to the south. This works because the earth is like a big magnet! There is iron inside the earth. That gives our planet its magnetic field. Do you know about the Northern Lights and the Southern Lights? They are natural light displays in the sky-almost like fireworks! They can be seen in the areas around the north and south pole. They are caused by the Earth's magnetic field. Sometimes the sun throws out a burst of energy. These bursts get caught in the magnetic field around the earth. They give off some beautiful, bright colors. The Northern and Southern Lights are one of the ways we know that earth is a big magnet! Magnets can pull through solids, liquids, and gases. Magnets can pull through the earth's atmosphere. It can also pull through solids like paper and liquids like water. As we've seen, magnets are useful, powerful, and sometimes amazing. Look around you and see how many ways magnets are used! Magnets attract certain types of metals. They have many uses in our homes. Most machines and devices use magnets. Some rocks are natural magnets. Magnets have two ends called the north pole and the south pole. Poles that are opposite attract each other. Poles that are the same repel each other. A magnet produces a magnetic field around it. It is stronger at the poles and weaker in the center. The earth is like a giant magnet, with a north and south pole. That's why people can use a compass to tell which direction they're going. The compass has a magnet that is attracted to the north pole. The beautiful Northern Lights and Southern Lights are caused by the earth's magnetic field. A. Which one is a magnet? Place a pile of paper clips on a table. Predict which of the other objects are magnets. Put each object close to the paper clip pile and test to see if it attracts the clips. If it attracts the clips, it's a magnet! Record your results. Were you able to predict which objects would act as magnets? B. What does a magnet attract? Look at each of the objects. Which objects do you think will be attracted to the magnet? Why? Make a prediction. Place the items you predicted will be attracted to the magnet in one group. Place the items you predicted will not be attracted to the magnet in another group. Bring each object close to the magnet. Record what happens. Does the magnet attract the item? How can you tell? Were your predictions correct? Record which were correct and which were not. Based on what you saw, what did you learn about the objects tested? C. Can a magnet work through objects? Place the paperclip on the table. Bring the magnet close to the paper clip and pick it up. Do you think the magnet will work through your hand? Place your hand over the paper clip and see if you can use the magnet to pick it up through your hand. Record your results. Try to predict if the magnet will work through the paper, wood, cloth, and other materials. Test each one and record which objects the magnet does and doesn't work through. What did you find out about magnets? Predict what will happen when you bring the north pole of one magnet next to the south pole of the other magnet. Bring the two poles together and observe what happens. Predict what will happen when you bring the north poles of each magnet together. Predict what will happen when you bring the south poles of each magnet together. What can you conclude about the north and south poles of magnets? Choose a magnet and write down which one you are using. Holding your magnet, bring a paper clip up to one end. Now your paper clip is a magnet. Bring another paper clip to attach to the first one. Repeat until your magnet will not hold any more clips. How many could you get on there? Record your results. Now choose a different magnet and repeat the process. Was the second magnet stronger or weaker? (Did it hold more or less paper clips?) Record your results. Continue testing the different magnets. Now, go back to the first magnet you used. Bring a paper clip to the middle of the magnet. Build another chain of paper clips. Record how many the middle of the magnet can hold. Was it more or less than the ends of the magnet? What can you conclude about the strength of a magnet?